I’m one of those people who is very particular about what they eat or drink before or after a workout. I need something that will hold over my hunger for awhile, but that won’t feel heavy and gross in my stomach. It has to be energizing, but with healthy, sustainable energy. 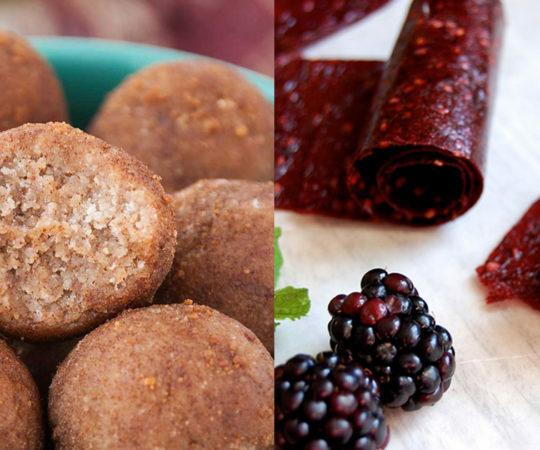 These paleo pre-workout and post-workout energy and recovery snacks are perfect for whatever kind of training you’re up to lately, and most of them come together really quickly with just a handful of ingredients. Whether you need a solid snack or a smoothie, I’ve got you covered. Perfect for after an intense workout when you’re hungry and need to help your body begin to rebuild, this smoothie bowl is delicious with frozen green banana, raw cacao powder, turmeric, sea salt, protein powder, stevia, almond milk, and ice for frostiness. 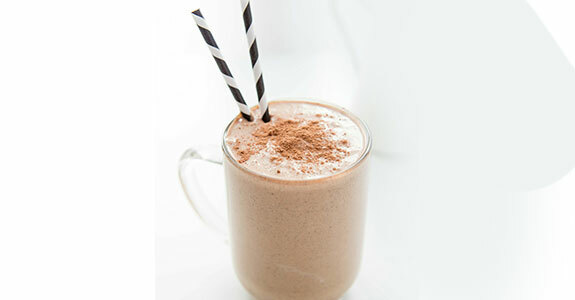 This shake will kick your hunger after a long workout with frozen banana, raw almond butter, chia seeds, hemp seeds, coconut butter, cacao powder, ample syrup, and almond milk. You can leave out the Northern beans or replace them with just a handful of soaked cashews. 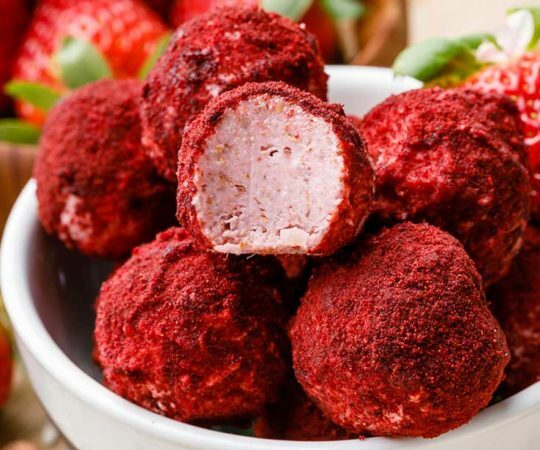 These protein bites are great for either before or after a workout, and you can also just pop them at whatever point in the day you feel your energy begin to lag (3 o’clock, anyone?). You’ll need almonds, vanilla protein powder, dates, and tahini. Homemade protein bars can save you money and are much healthier, like this sweet potato version using cinnamon, vanilla, maple syrup, and nut butter along with protein powder. You’ll want to replace the plain yogurt with plain coconut yogurt. For this smoothie, you can use your favorite paleo-friendly protein powder, fresh or frozen strawberries, milk of choice (I’d go with unsweetened almond milk), and if your strawberries aren’t sweet enough, a dash of honey, maple syrup, or stevia powder (or drops). Photo: I Can Eat What? I love green smoothies, but sometimes you just want a deliciously purple one, right? 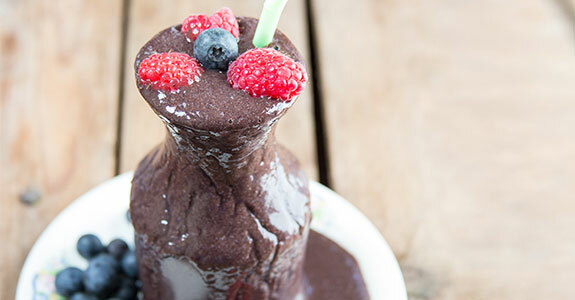 This smoothie is both green and purple, with almond or coconut milk, spinach or kale, frozen blueberries, frozen raspberries, and stevia powder to taste. You could also add a spoonful or so of raw pepitas for a boost. Speaking of green smoothies, this one is perfect for recovery and is packed with nutrients in the form of baby spinach, banana, green apple, creamy avocado, collagen powder, protein powder, and chia seeds. It’s super healthy and also tasty! This smoothie is also green with spinach, but it also has kiwi fruit, celery, cucumber, and kale. So many green goodies! 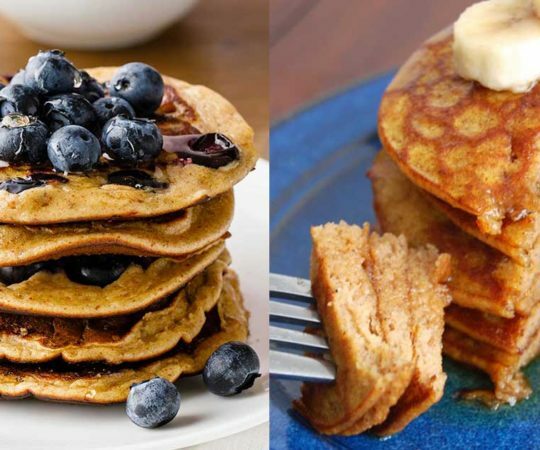 Banana and cinnamon make it sweet while vanilla bean protein powder adds recovery protein, maca powder helps replace your energy, and almonds add even more nutrients. Smoothies are great, but sometimes you need something a little more solid after a workout—or before, especially. This nut-butter-based no-bake cookie recipe is super tasty with banana, ground walnuts, vanilla, cinnamon, and (of course) chocolate chips. Prunes often get a bad rap, but they’re actually quite tasty. After all, they are dried plums! They’re also high in fiber and antioxidants, so they’re good for your body. 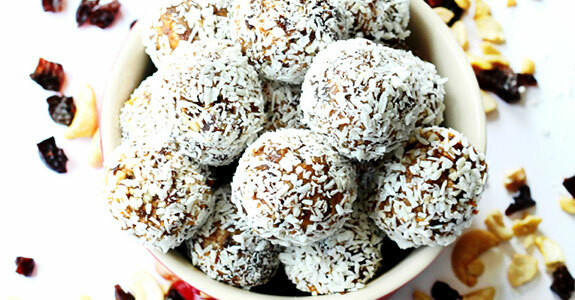 These prune power balls are made with prunes, cashew pieces, sea salt, and unsweetened shredded coconut. These customizable snack bars (you can adjust the amounts of different ingredients to suit your preferences) remind me a little of KIND bars with their thick, chewy texture and honey-sweet flavor. 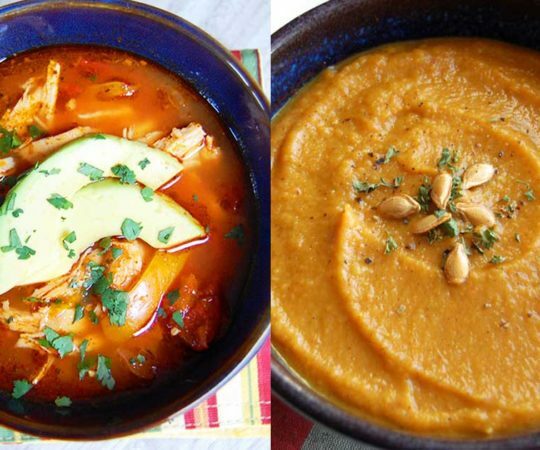 You’ll need coconut, almonds, pecans, sesame seeds, pepitas, flax, and more. One of the most important things you body wants after a workout is some amount of protein to help repair the tiny muscle tears that happen when you’re building strength. This recipe uses raw cashews, date paste, vanilla, sea salt, coconut oil, pumpkin seeds, sesame seeds, and chocolate chips. Looking for something that’s a bit more solid and substantial in your belly? Try these banana chia bites made with almond and coconut flours, ripe banana, chia seeds, almond milk, vanilla, eggs, coconut oil, cinnamon, and more good-for-your ingredients. 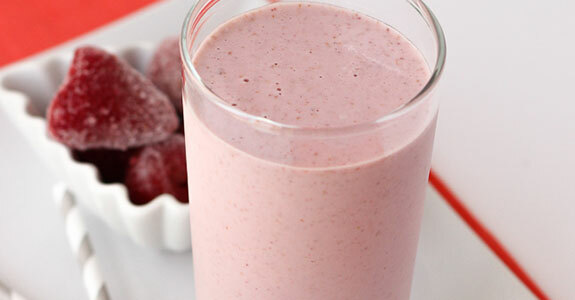 This smoothie will help your muscles bounce back after an intense workout session and replace lost fluids and minerals. 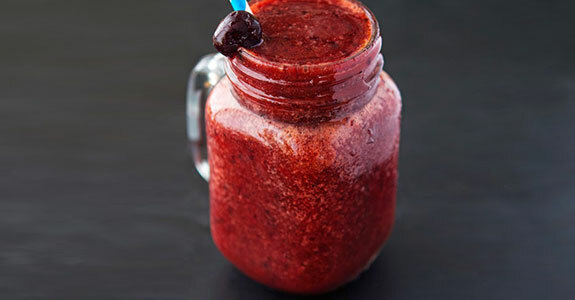 It tastes amazing with milk of choice (almond would be perfect), orange juice, frozen cherries, honey or maple syrup, protein powder, and ice. I usually want something munchable after a workout, and these crackers fit the bill. They’re also really simple with just a few ingredients, and you can make then your own way with mixed nuts and seeds, egg, sea salt, and more seeds to sprinkle over the top. Made with blueberries, bananas, avocado, and a secret ingredient (a raw egg) this shake has what you need to power yourself up before a workout. 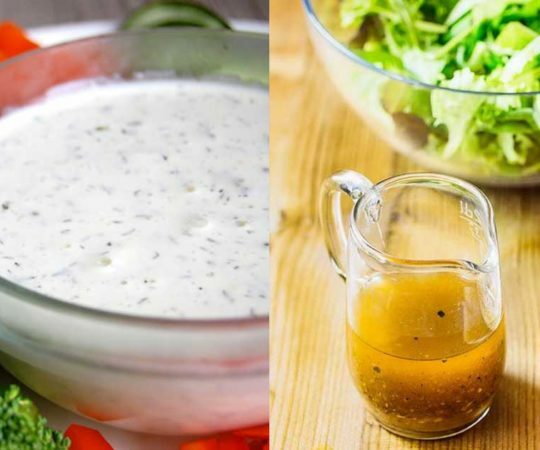 You can use the milk of your choice, ice , vanilla, and optional flaxseed oil or avocado oil for extra nutrition. This smoothie is perfect for after a workout, and it’s so delicious that your mouth will think it’s getting an unhealthy dessert. You’ll need frozen banana, dates, non-dairy milk, cacao nibs, vanilla extra, ice, and coconut flakes to decorate if you want. This smoothie is super hydrating with coconut water, but it also provides healthy, energy-boosting natural sugars with strawberry and banana, as well as protein in the form of almonds and hemp or chia seeds. 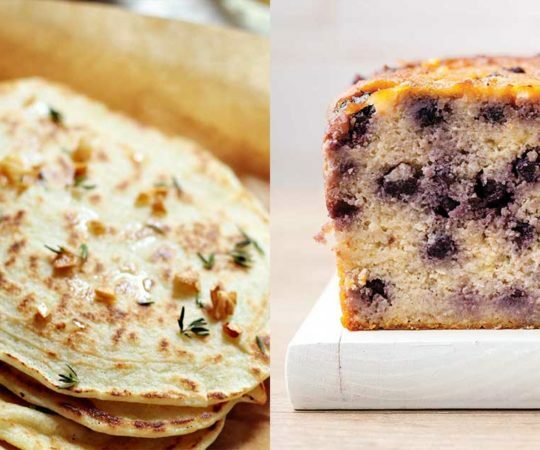 It’s simple and sweet, and you’ll love it. After a workout, you need to replenish your energy levels and fluids. This smoothie is perfect for that because it’s simple to make—no messing about with tons of ingredients when you’re already worn out—with just mango, peaches, and coconut water. This milkshake is exactly what the title says it is—it’s made with caramelized bananas using coconut sugar, and it so fabulous I want to make it every single day. You’ll also need coconut milk, sunflower seed butter, grass fed butter, cinnamon, and sea salt.